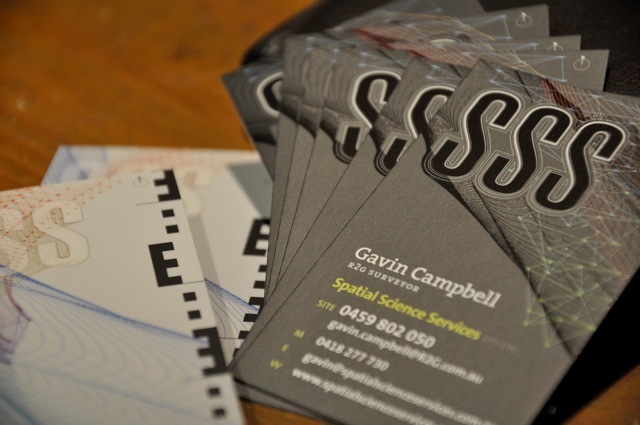 I have recently been lucky enough to work with a fantastic Spatial Science Expert, Gavin Campbell in the design and development of his branding and holding website. Spatial Science Services offer high level and exacting survey knowledge and skills. 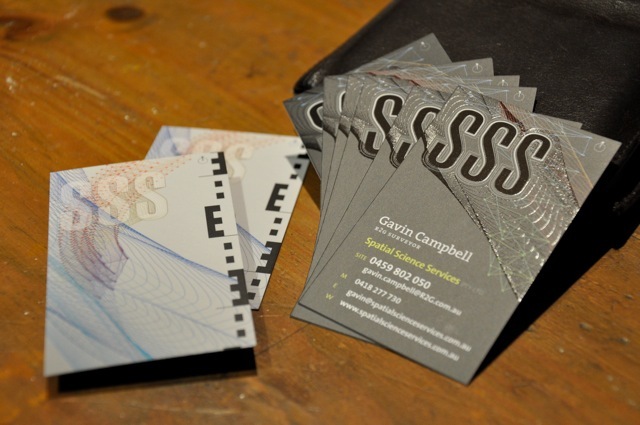 His cards are pretty sweet also, featuring a realistic topographic feature survey and landmark design in a SPOT UV layer around a bold SSS logo device behind a matt lamination on a 400 gsm stock. Awesome.